A wonderful Clay single spotlight with a contemporary look, our Edgeware Spotlight is as handsome as it is practical and makes an excellent choice for a kitchen or living room. Designed as a stylish and functional solution to boost the lighting in specific areas of your kitchen such as your sink, oven, countertop or island, our Edgeware Spotlight incorporates an elegant metal shade with an exposed braided cable that gives it a cool industrial look. 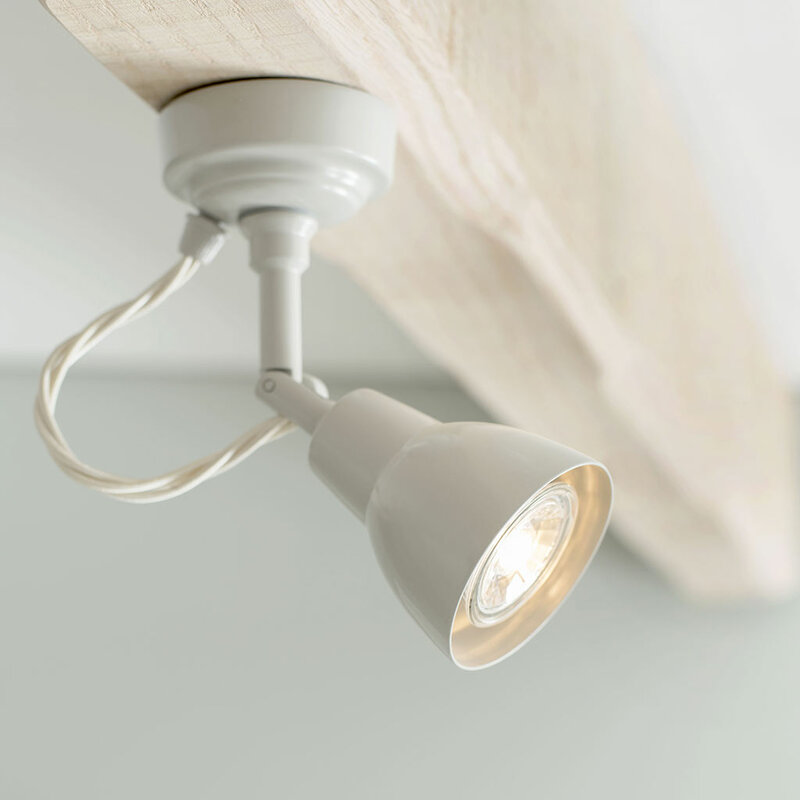 They are also perfect for emphasising the more interesting features of your home, whether they’re photos, paintings, bookshelves, fabrics, ornaments or architectural features like alcoves or exposed beams. 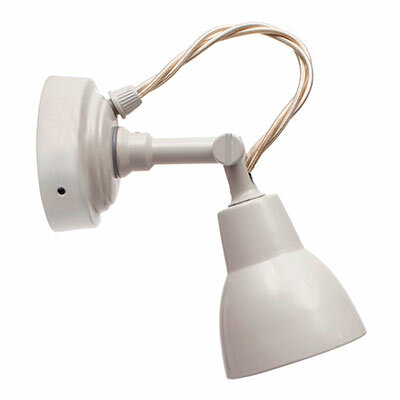 The single Edgeware Spotlights can be angled through 90 degrees so you can focus the light wherever you want. 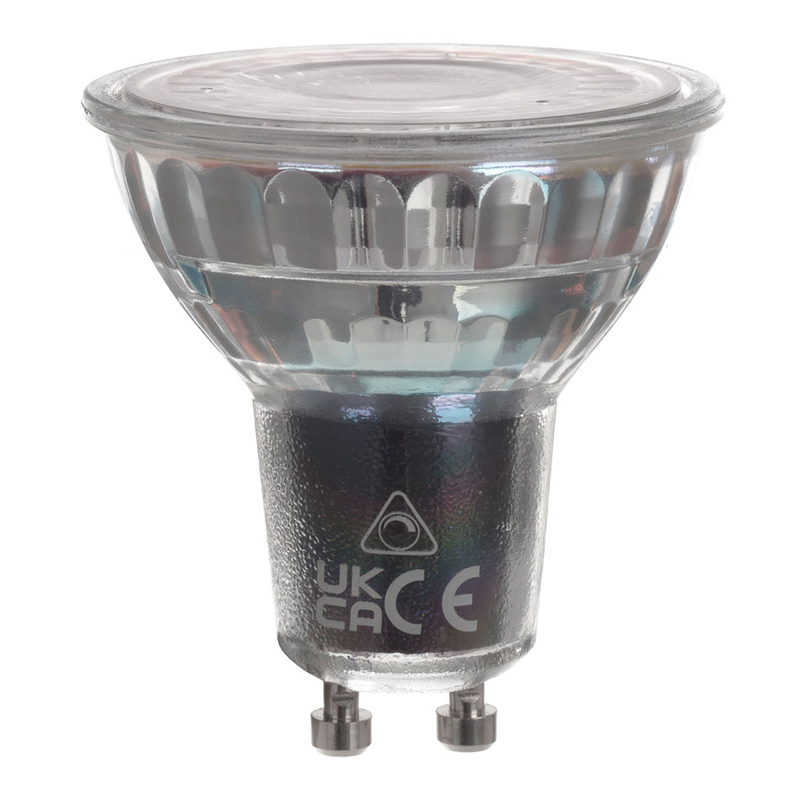 They will look perfectly at home in a period or modern property and are available as a single light or on tracks with up to six spots which gives them great versatility. 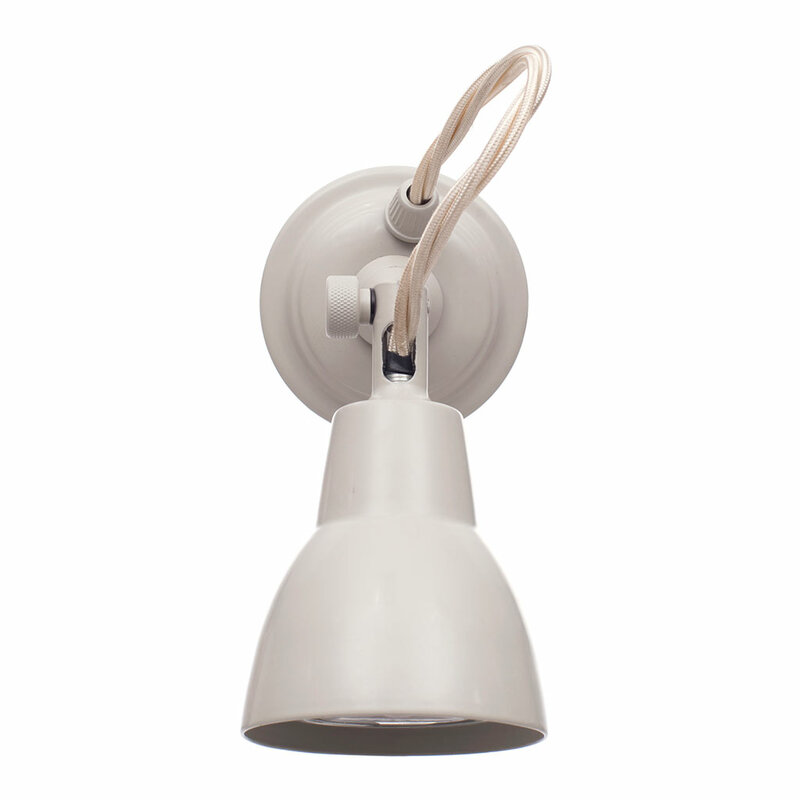 The track spotlights only need wiring through one hole in your ceiling – making them a popular choice for home owners and electricians alike! Clay: A calm, neutral shade, ideal for creating a country house feel, indoors and out. The paint is applied with a powder coating process that creates a smooth hard-wearing surface. To find out more about our finishes and how best to maintain them, please read our product finish pages. Where does the Edgeware look good? Hung in a row on the walls above your kitchen units to give tasking light where needed. Paired either side of your oven, hob or kitchen sink. 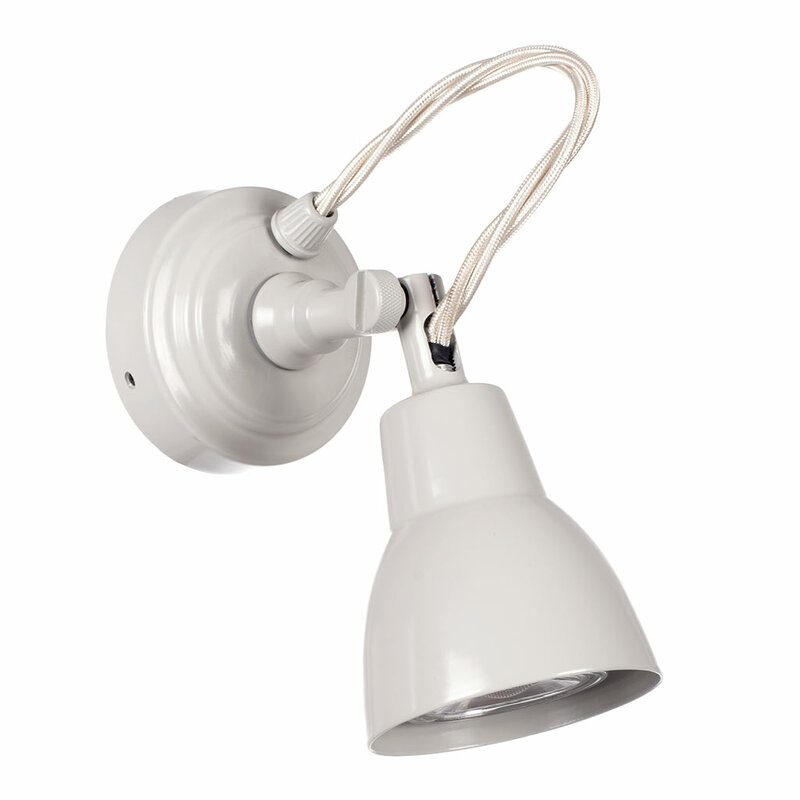 Used as cosy, subdued bedtime lighting on either side of your bed or dressing table mirror. On a chimney breast or above an Aga or range if you have a country style kitchen. Fixed to exposed beams or in alcoves to highlight the beauty of architectural features. 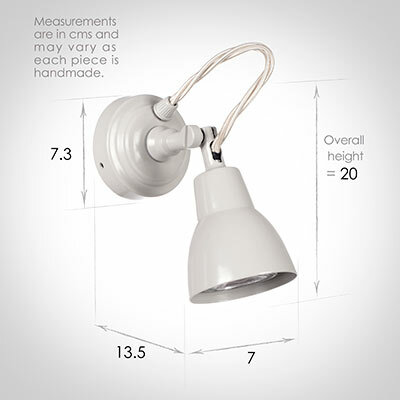 Fixed to joists in high, vaulted ceilings to add ambience to your lighting scheme. The Edgeware is available on a track with up to six spots in the same finish. For a uniform look throughout your home, try pairing it with any of our stunning door and window furniture in the same finish, or with our range of matching electric switches and plugs. We recommend our GU10 LED bulb as the perfect accompaniment to your spotlight.